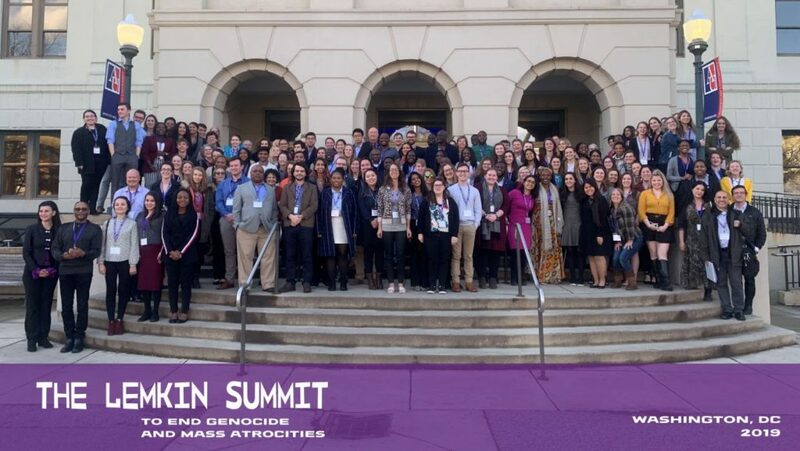 The 2019 Lemkin Summit to End Genocide and Mass Atrocities brought together over 150 activists and student leaders in the anti-atrocity movement for the Enough Project’s largest summit to date. 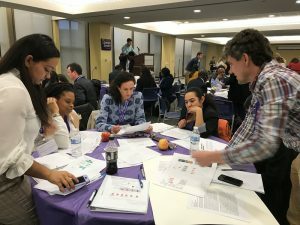 Hosted at the American University in Washington, D.C., the three-day Summit featured expert panels, activist skills trainings, and focused breakout sessions. Participants networked with one another, engaged with guest speakers and learned new approaches to preventing and ending mass atrocities, such as the use of policy instruments that target the illicit financial flows of war criminals as a means of providing real leverage to revitalized peace processes and strategic human rights advocacy, in places such as the Democratic Republic of Congo (Congo), South Sudan, and Sudan. The Summit culminated with more than 80 meetings with congressional offices. Participants came from 33 U.S. states, including D.C., as well as Canada, UK, Greece, Côte d’Ivoire, Nigeria,and South Africa. Participants represented 58 colleges and universities, 8 high schools, and 17 organizations. The Summit opened on Saturday with special remarks from former NFL linebacker, Andy Mulumba. He discussed his commitment to bringing awareness to the conflict in Congo. his home country, and called on corporations to uphold their responsibility to conflict-free practices and urged Summit participants to use their advocacy efforts to support peace in Congo. Throughout Saturday, participants heard from several speakers, including John Prendergast, the Founding Director of the Enough project and a Co-founder of The Sentry. John spoke about the history of conflict and kleptocracy in Congo, in particular through the historical lens of exploitation outlined in his latest book, “Congo Stories,” co-authored with Congolese civil society activist Fidel Bafilemba. He was followed by a celebration of art and activism featuring Dr. Omekongo Dibinga, who performed several impactful poems on demanding change and breaking down stereotypes of Africa. Sunday’s program featured the Summit’s keynote speaker, Congolese activist Neema Namadamu, who founded the Maman Shujaa Media Center, and was featured in the film Merci Congo. Neema spoke about the importance of education for women and girls in Congo, the recent presidential election, and ways for people to get involved and advocate for peace and human rights. There were also several breakout conversations on topics such as strategies and challenges to amplify the voices of local civil society, current developments in Sudan and Congo, and a former FBI agent’s perspective on international corruption. 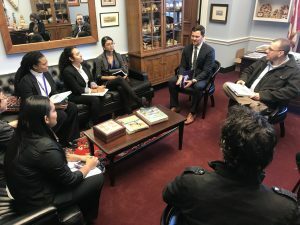 Also included were several training sessions such as learning tips of the trade for writing an impactful op-ed, in-district lobbying, and lessons from experienced activists on organizing events and campaigns. Sunday ended with an emotional and impactful performance by Darfuri activist, poet, and author, Emi Mahmoud. During the Lemkin Summit in 2018, Emi shot a video for the Summit participants in 2018 as she embarked on a journey to walk across Sudan with the goal of inspiring peace, harmony, and connection in her increasingly fragmented country. Through this “One Girl Walk for Peace” Emi aimed to use poetry as a way to “approach collaboration in a way that evokes compassion and not discord; a way that inspires hope.” Her presence to end the programming in 2019 was emotional and a perfect end to the summit’s program. The final day of the Summit was an advocacy day on Capitol Hill, where participants had more than 85 meetings with Representatives and Senators offices to advocate for increased capacity for the U.S. Department of the Treasury to focus on sanctions programs related to Africa and human rights, to drum up support for Sudan legislation that would seek to counter removing Sudan from the State Sponsors of Terrorism List and help support congressional efforts to end the use of anonymous shell companies in the United States by requiring the disclosure of a company’s beneficial owners.